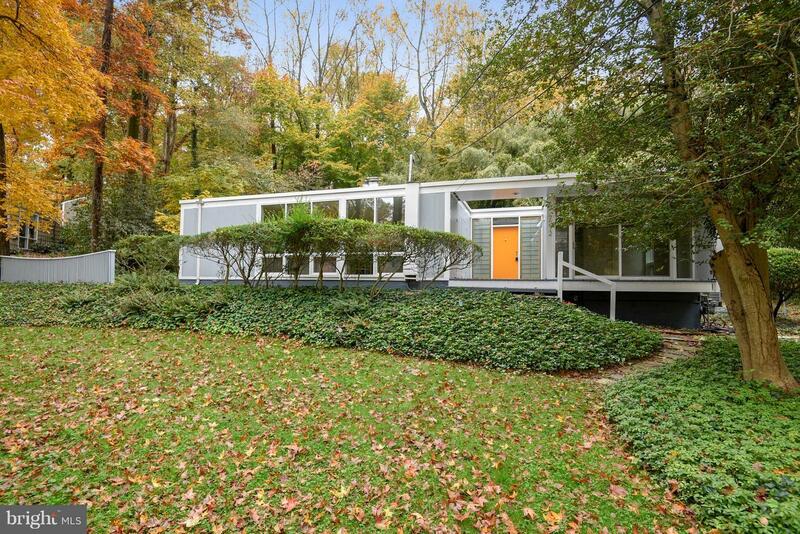 Classic Hollin Hills Mid Century Modern House. 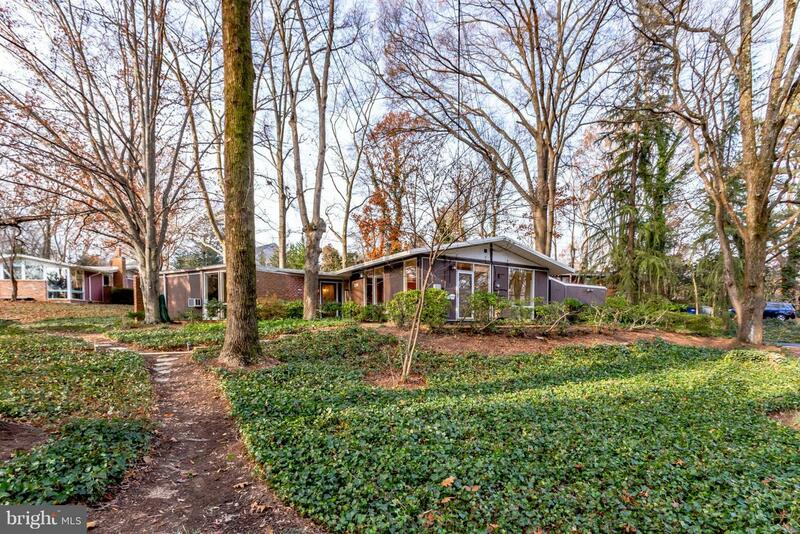 Gorgeous private spacious .55 acre lot provides light filled wooded views from every window and every room. Home being sold in as-is condition with right to inspect for informational purposes. 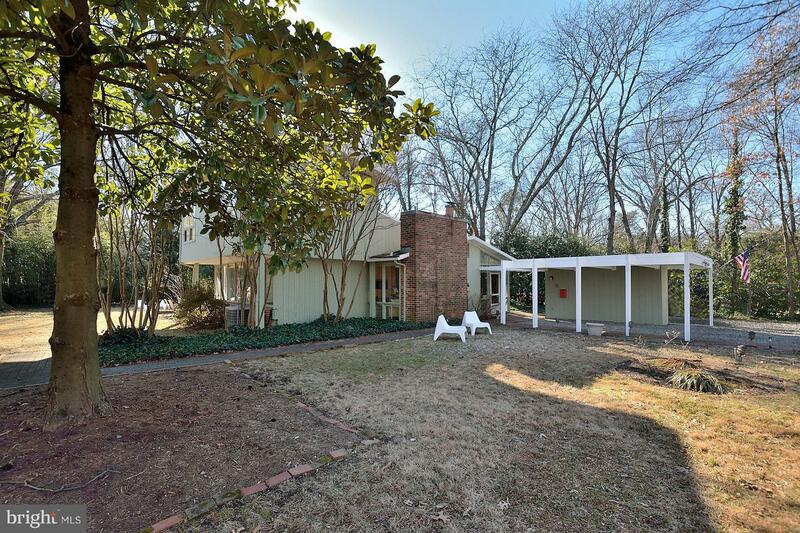 Sold by Sallie W McBrien, McEnearney Associates, Inc. Listed by, Long & Foster Real Estate, Inc. 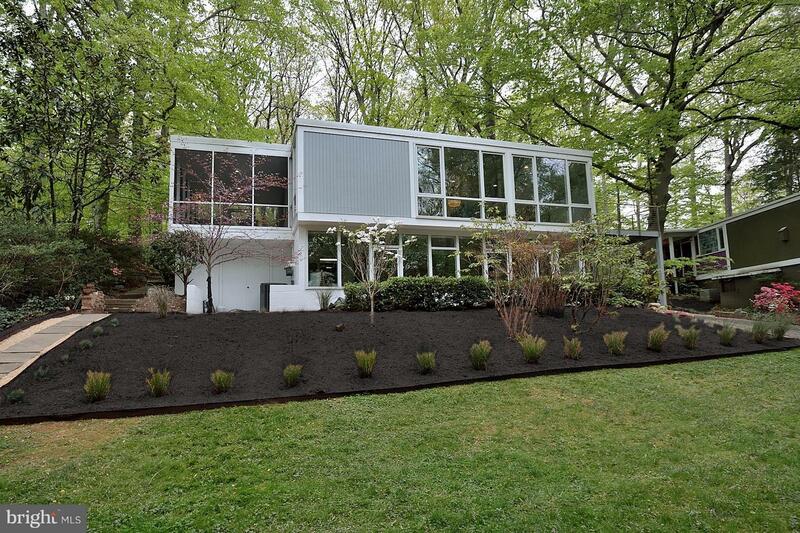 Exquisite Contemporary 4 bed 3 full bath Home in the Heart of Hollin Hills! Spacious open concept Living, Dining & Kitchen with soaring ceilings. Complete remodel, no detail spared! Gleaming hardwood floors, new roof, gourmet kitchen w/SS appliances, 42inch White Shaker Cabinets & Quartzite counters. Master oasis w/ walk-in closet & private spa bath. All new baths with modern fixtures. Must see! Contract contingent on the sale of another home with a 4 day kick out clause! Back up contracts highly encouraged and very welcome! 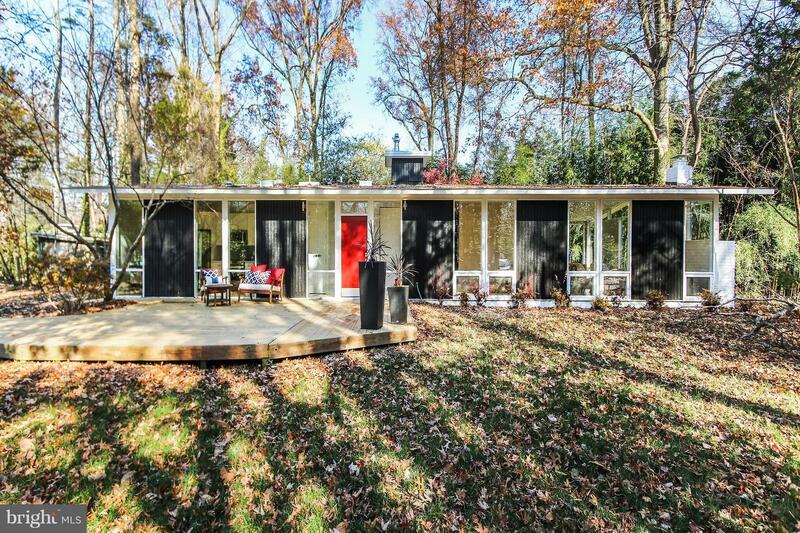 This is a rare opportunity to purchase a historic mid-century masterpiece by acclaimed architect charles goodman! This 4 bedroom 2 bath contemporary home features walls of windows that flood the home with light and is in perfect harmony with nature and it's surroundings! One level living at it's finest! The moment you enter the large foyer through the breezeway, you know you've found something special! 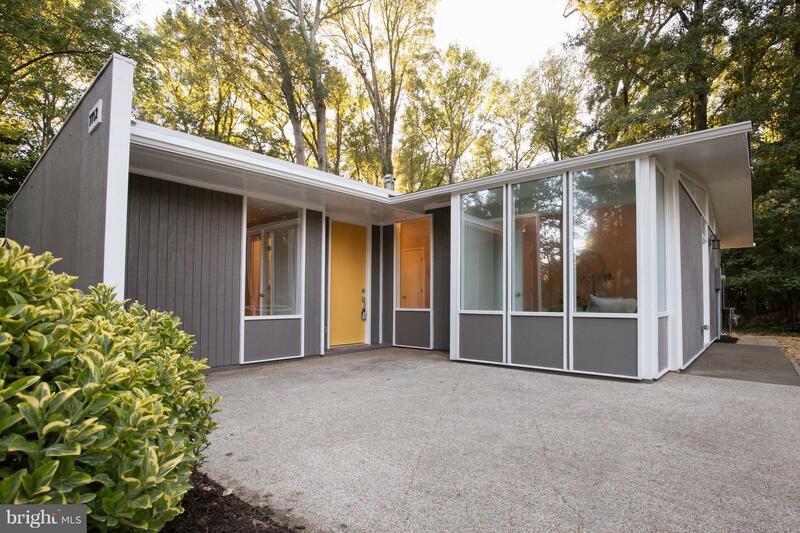 It's hard to believe this beautiful home in it's park like setting is only minutes from old town and the metro! 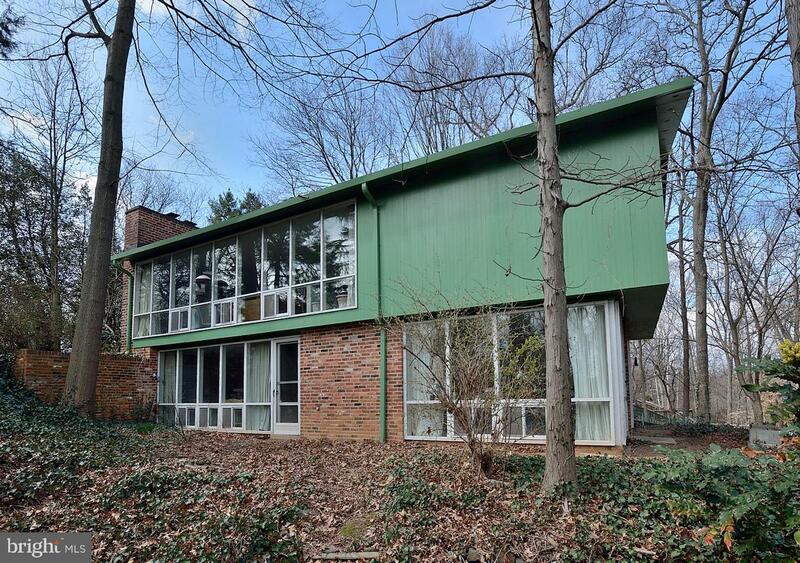 Hollin Hills two level glass home with park views. Completely remodeled in 2015 with 4 bedrooms and 2 full baths. Stunning updates include commercial TPO roof, Pella double pane windows, new hardwood floors, recessed lighting thru out, top of the line remodeled bathrooms, renovated kitchen with butcher block counters. 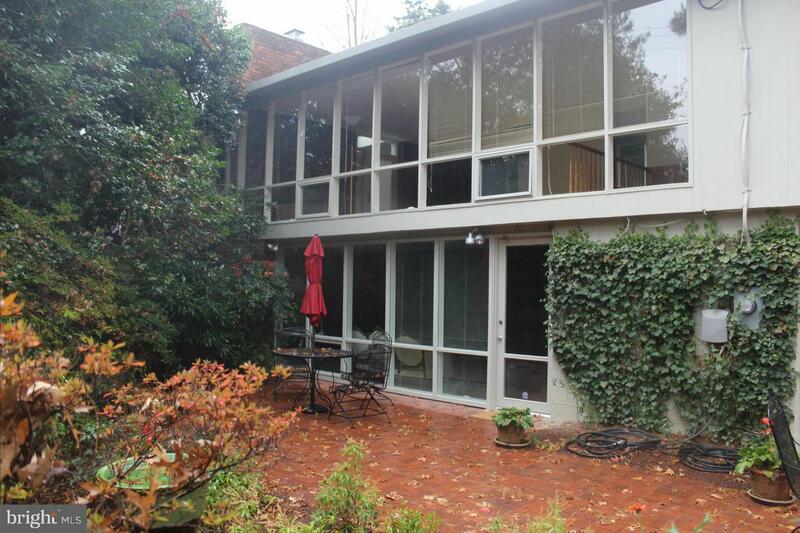 Expansive screened-in porch, plus deck/carport with cable railing. 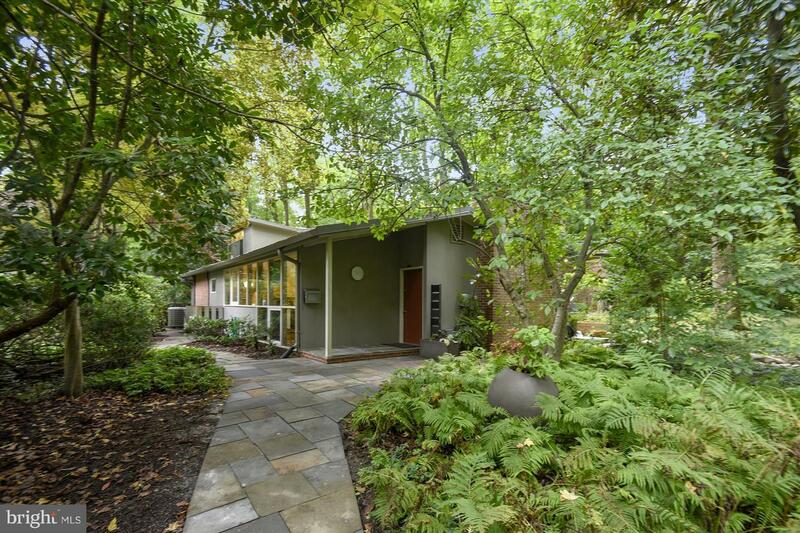 Sold by Anne Steele Bavin, McEnearney Associates, Inc.
On the market for the first time since 1964, this one level expanded Goodman contemporary has four to five bedrooms, one and a half baths and is sited on a lovely corner lot. Eason Cross designed addition adds a breezeway entrance and a separate bedroom wing. 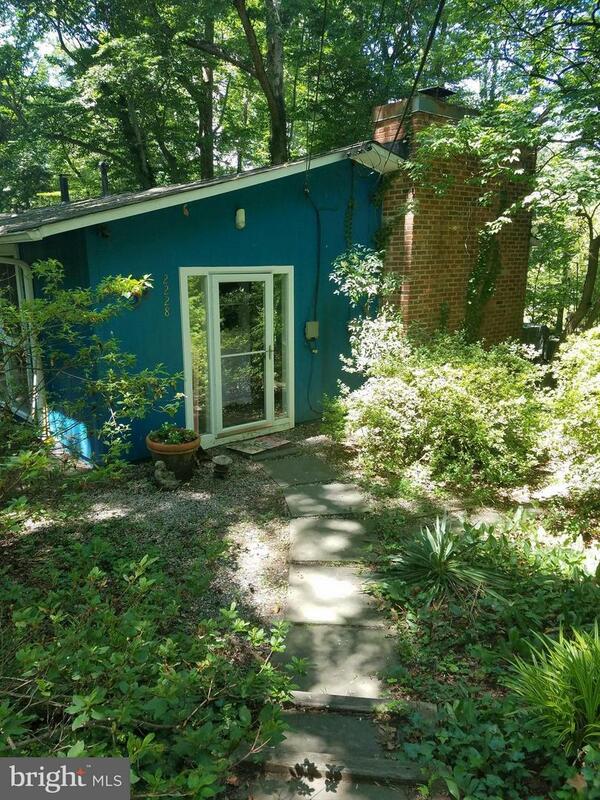 Flexible living spaces, original parquet wood floors, wood-burning fireplace, two sheds, great curb appeal. This home is being sold "as-is" but has been well-maintained. Listed by, McEnearney Associates, Inc. 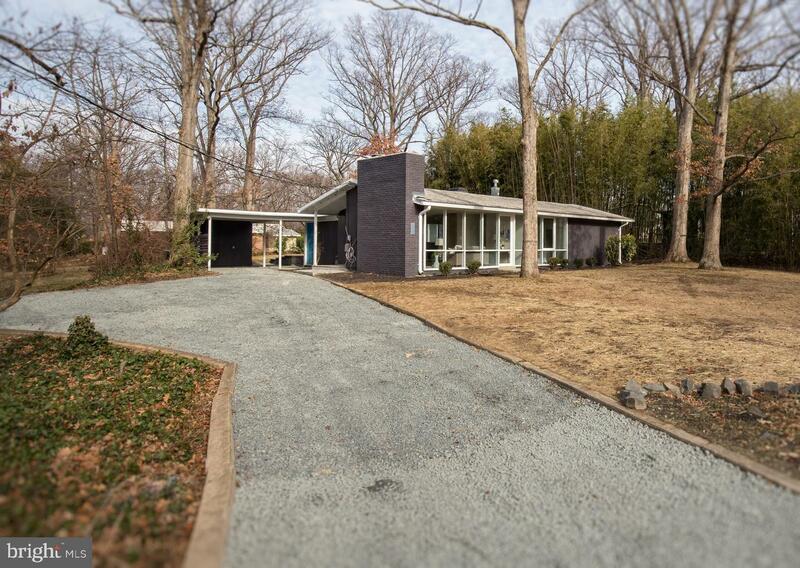 Stunning contemporary masterpiece in Hollin Hills completely renovated from top to bottom! Large addition includes family room off kitchen&luxurious master suite w/vaulted ceilings, walk-in closet&huge master bath overlooking courtyard! Expanded kitchen open to dining/family incl. 42" modern cabinets,custom backsplash,silestone counters & S/S Appl. Newly installed H/W floors&Recessed lighting t/o. Sold by Laura J Fall, McEnearney Associates, Inc.
One level with two-level addition adds stunning master bedroom suite with remodeled bathroom, walk-in closet and treetop views. Addition also adds family room below with walls of windows. Kitchen remodeled with tons of storage, breakfast bar and open to dining room. Two additional bedrooms and full bath on main level plus bonus office. Carport with lots of storage and flat lot on desired circle. Listed by Peter Braun and Lee Braun, Long & Foster Real Estate, Inc. Priced to sell! 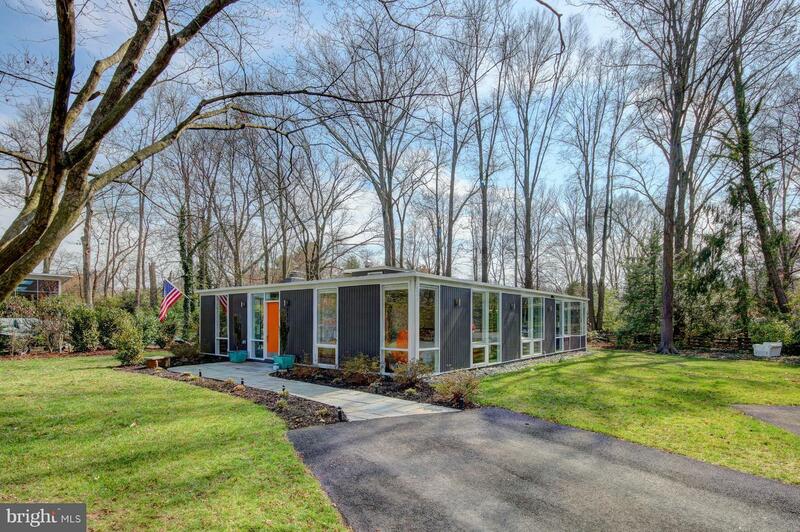 Unique contemporary rambler on private wooded cul-de-sac. Home has been renovated 8 ft custom interior doors add a designer wow! Spacious eat-in kitchen has quartz counters,stainless appliances, gas cooking, 42" cabinets.Bamboo flooring, new double-pane windows, and roof. New driveway. Neutral paint. Gas heat/hotwater/cooking. Convenient South Alexandria location. 2 huge decks. Sold by Jay S Ribler, Nova Star Real Estate, Inc. Listed by Jodie A Burns, McEnearney Associates, Inc.